On Wednesday February 15, 2017, Cops For Kids With Cancer went to Children’s Hospital and made a $5,000 donation to the family of Jefferson Silva, a 19 year-old boy from Lowell, who has Leukemia and is in the Intensive Care Unit, having a bone marrow transplant. No visitors were permitted in the ICU. 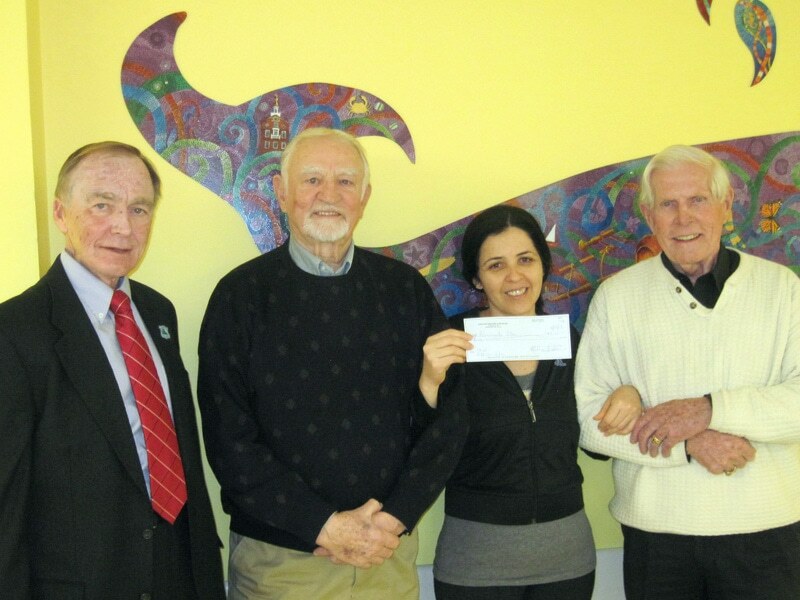 In photo from left, CFKWC Chairman Bill Coulter, CFKWC Director John McManus, Jefferson’s mother Rosangela, and CFKWC Chairman Emeritus Bob Faherty.